You’ve been able to make music with an iPhone ever since the App Store launched in 2008, but the quality of the apps on offer keeps getting better. It’s now possible to pull together a professional-sounding demo on your morning commute. 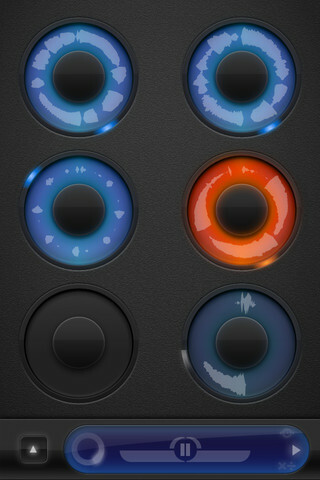 Here are three iPhone apps that balance ease of use with being quality tools that beginners and pros alike can enjoy. Sweden’s Propellerhead is best known for its Reason desktop music production suite. Figure doesn’t attempt to squeeze the power and flexibility of Reason onto an iPhone. Instead, it makes creating multi-track electronic music fun, simple and instantly gratifying. 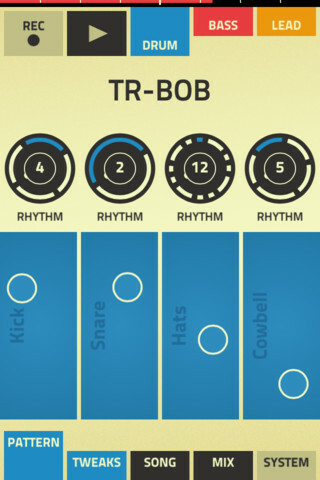 Offering a drum machine and two synths, for basslines and lead melodies, this is music production rethought perfectly for a small touchscreen. The app will even come up with a title for your track if you’re stuck for inspiration. Everything’s satisfyingly tweakable and the finished results can be exported to iTunes. The maximum length of a track in Figure is 16 bars, so you won’t be able to create an opus directly in the app, but you could easily edit together a number of exported tracks into a perfectly serviceable demo. You can also jam live for as long as you like, recording the output from the iPhone’s headphone jack. Germany’s Native Instruments has a reputation for creating top-quality software instruments that are used by professionals and enthusiastic amateurs alike. 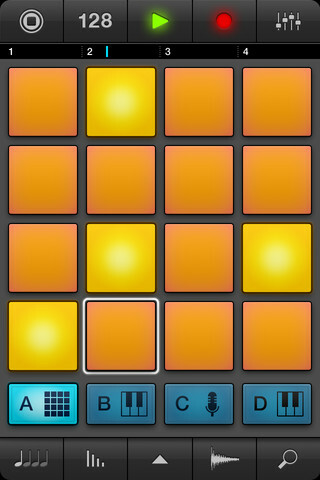 iMaschine, the company’s first iPhone app, is designed as a gateway drug for Maschine, a software and hardware hybrid product that is a lot more expensive than the $4.99 being asked for this app. Our own Brad McCarty gave iMaschine a try a few months ago and was mightily impressed. Rightly so, too. The 16 sample trigger pads and two synths allow you to put together impressive sonic sketches, and you can even record vocals or other sounds with the microphone. There’s plenty of scope for editing samples and applying effects. You can also install sound expansion packs via in-app purchases. Loopy has won plenty of praise for the simple but highly enjoyable way it lets you throw together a bunch of audio samples, making them fit together nicely with almost zero effort. Loopy (and the iPad version, Loopy HD) isn’t just about built-in samples though, it supports any audio imported via iTunes and you can record directly creating complex, layed live performances with ease – something that usually requires a dedicated hardware loop pedal. Developed by a man by the name of Michael Tyson, Loopy punches above its weight (heh) with support for external audio hardware such as MIDI footpedals while being equally at home as a production tool or a live performance instrument. As we’ve previously discussed, there’s plenty of hardware and software available for iOS to take your music making further. GarageBand and Nanostudio are both excellent multitrack music production suites, for example. Got any tips for further music-making fun on iOS? Let us know by leaving a comment.